Are 'Native Only' Wildlife Gardens Starving Fall Pollinators? 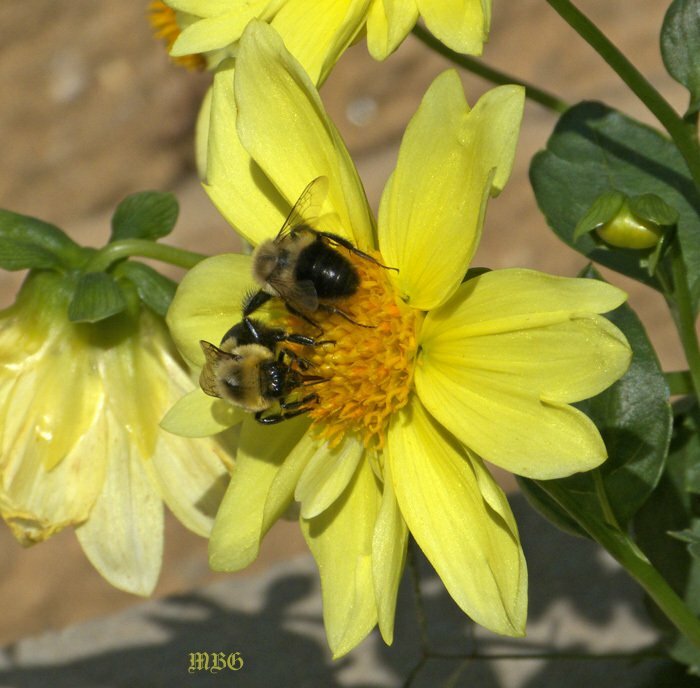 Home » Are ‘Native Only’ Wildlife Gardens Starving Fall Pollinators? As I walked through our Minnesota wildlife garden one late September day, I was happy to see so many bees and a straggler monarch butterfly that fluttered in for a pre-migration meal. Later, I also spied a hummingbird enticed by our fresh array of flowers. 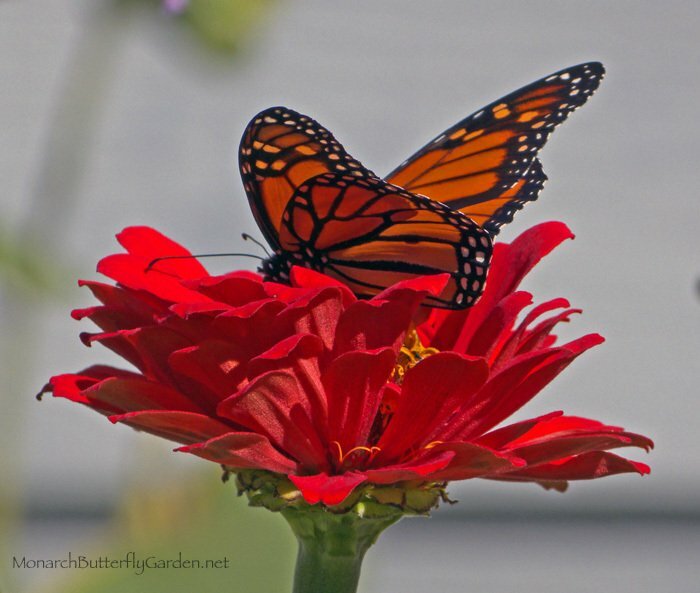 The monarch was fluttering between tropical milkweed flowers and two patches of zinnias. The hummingbird was most interested in our coral porterweed, and the bees couldn’t get enough of the red and yellow collarette dahlias. All 3 of these important pollinators were enamored by our numerous patches of verbena bonariensis. This was the first year we’d cut it back, and the blooms are still full of sweet nectar, as evidenced by the bounty of bumble bees hanging from each flower head. Have you noticed that all of the aforementioned plants are annuals (depending on your region) or non-native plants? An advantage of including non-invasive annual plants to your landscape is that many of them bloom until first frost. These flowers are a welcome sight for late migrators and bees stocking up before hibernation. Another advantage to adding annual plants is that many of them bloom the entire season. This means they’re pollinator-ready 24/7 during garden season. The Multitasking Milkweed…Blooms While Seeding! Most native perennials have a specific bloom period, and that doesn’t always coincide with the pollinators travel itinerary….especially with extreme weather patterns becoming more frequent! Many of our native plants are currently providing seeds for hungry birds like goldfinches. There are still fading flowers on some, but the majority are finished producing nectar. If all we had was native plants to sustain the ecosystem, we wouldn’t be able to support the diverse wildlife population that still depends on us in early autumn. 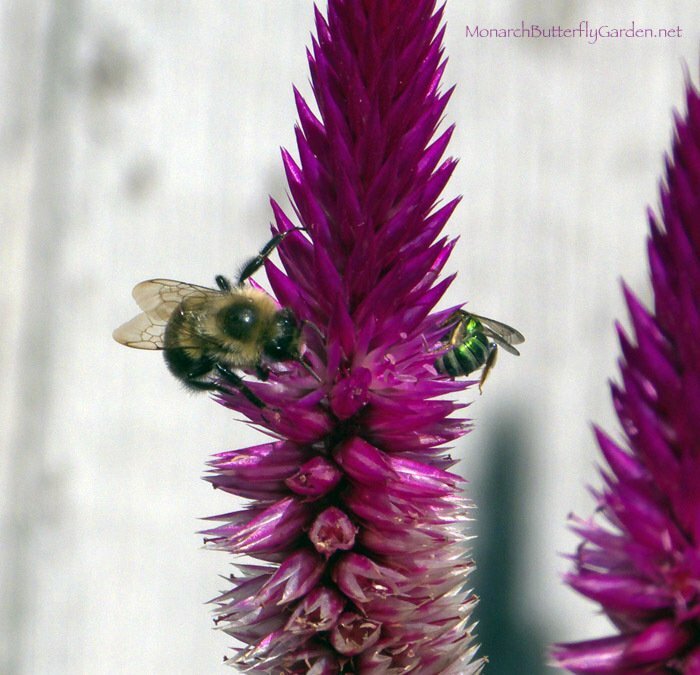 October bees and butterflies can still stock up on nectar before settling down for a long winter’s nap. The more energy reserves they have, the likelier they’ll survive until next spring. And in case you’ve been living on a deserted island without your smartphone…we need all the pollinators we can get! Proponents of native-only gardening argue that non-native plants will be passed over by pollinators and can’t support the ecosystem. Based on years of gardening experience and talking to other gardeners , I have found this to be false in many instances. I’m here to tell serious wildlife gardeners, that if you want to support fall pollinators, a native-only mentality will keep you from fully achieving that goal. A scientist once suggested to me that by planting this, the monarchs could potentially stay too late and freeze to death. They could be confused by seeing viable milkweed and lay eggs on it. Even with viable milkweed, the monarchs finish utilizing tropical as a host plant by the first couple days of September. This still gives them plenty of time to finish metamorphosis and migrate south. However, I still have many monarchs using tropical milkweed for nectar through September…this suggests that milkweed viability is not a cue for migration in cold weather climates. No frozen monarchs in seven years is proof enough for me. I do suggest that northerners raise migration monarchs indoors when the low temps go below 55°, because cold temps slow down metamorphosis. If you grow tropical milkweed in these places, cut it back to the ground so it can’t be used by monarchs over winter. If you’re not willing to do that, than don’t plant it. Simple enough? Our only butterfly bush that survived last Minnesota winter. This dwarf butterfly bush maxes out between 3-4 feet and blooms all season long, if you deadhead. Last season, I had monarchs using this for nectar in early October. This is labeled as a non-invasive butterfly bush. I have never heard complaints about this species taking over a garden. If you’re concerned, keep a close eye on it, and keep up with deadheading. 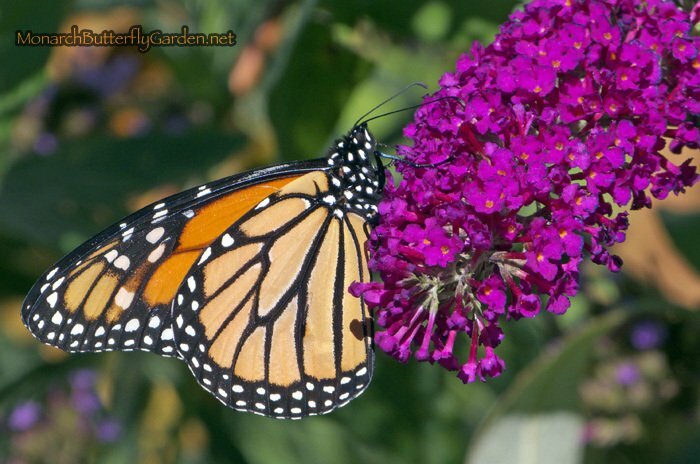 If you’re not willing (or able) to do that, then butterfly bush may not be a good option for you. This variety was also created to be more cold hardy. 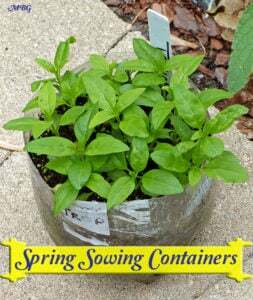 I’d have to say they succeeded after it survived the 10th coldest Minnesota winter on record! There is a lot of misinformation floating around the internet about butterfly bush, and it’s often from people who don’t grow it themselves. Don’t get your facts from fear mongers. If you want to try a non-invasive variety that does attract butterflies,’buddleja buzz’ is a good option….I haven’t found one seedling in our Minnesota garden. It was supposed to grow to 4 feet tall, but it easily doubled that…which is probably why the balloon plant (milkweed) behind it is only 3 feet tall this season. Balloon plant is a late season milkweed for monarch egg laying, but I’ve recently found that monarch females seem to prefer its close relative. This year we planted the tall state fair mix and benary’s giant which were a big hit with both swallowtails and monarchs. 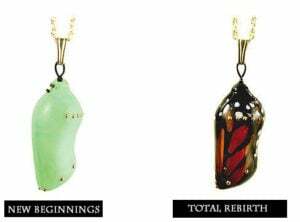 They are currently being used by bees, hummingbirds, and migrating monarchs. By cutting back spent blooms at the beginning of August, we still have lots of verbena blooms as we enter October. Verbena also reseeds during the season for even more blooms. If you want to help more pollinators at seasons end, a mix of native plants along with non-invasive annuals is a better way to keep more pollinators satisfied. Many people have asked how/why we still see a good number of monarch visitors even in years when sightings are down? 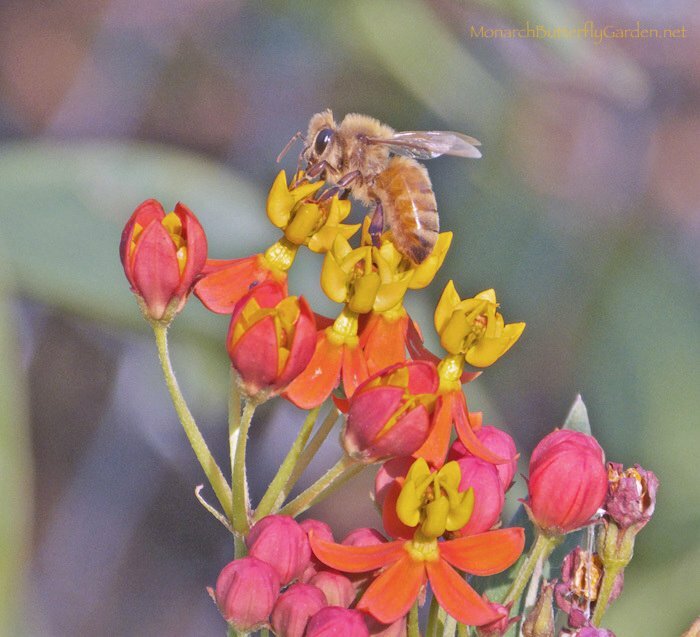 I believe the answer comes down to diversification…of both milkweed and nectar flowers. Native and non-native. If you choose to buy in to the fear mongering that all non-native plants are destroying the ecosystem, that is your choice. And if you’re someone that wants to throw down seed and let mother nature do the rest, native gardening is your best option. 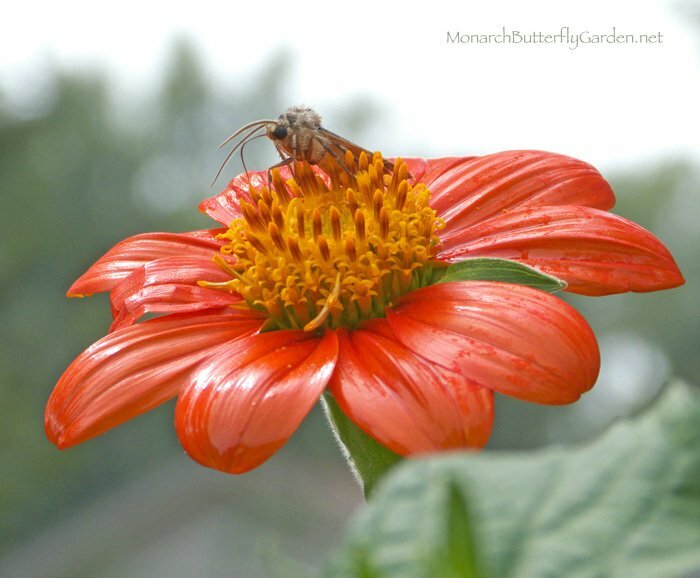 But, if you’re someone who likes to spend more time in your garden and you’re willing to take responsibility for non-native plants, there is an opportunity to take your garden to a whole new level, attracting and supporting both new and familiar pollinators. So next time you’re wondering where all the monarchs (and other pollinators) are, think about whether there’s something more you could be doing to support them. Hi Tony- need some advice about recently discovered swallow tail caterpillars. We have discovered more than a dozen in our parsley and it’s getting cold here in Indiana. Will they winter or is there something I can do to help them winter. They have not grown as large as I have seen them before going into the pupae stage. It’s seed catalog season! I’ve been looking for “Cramer’s Amazon” celosia seeds and can’t find any. (not even on eBay) Have you tried other varieties of spiky celosia, like Flamingo Feather? How about the tall cockscomb types, like Bombay Pink? The trouble is we don’t know when and if some of these exotics will become invasive. The article talks about butterfly bush which is another invasive on the east coast and just now being found spreading near Columbia and St. Louis. So we plant a nectar producer that will crowd out host and nectar/pollen plants? Tropical milkweed is keeping monarchs here when they should be migrating. Mexican sunflower is invading crop fields in mid-Missouri. The killing frost last week in Nebraska took care of lingering monarchs there…. I will stick with natives, thank you. Tropical milkweed is keeping monarchs here…or is it warmer weather? We have planted it for almost a decade now and we’ve never received eggs too late for the monarchs to migrate, although they do use it as a late season nectar source. We have viable tropical milkweed in our garden for WEEKS after the final monarch has left. Frost does not kill monarchs…they still have plenty of time to migrate as long as high temps are still in the high 50’s and low 60’s…it’s not an issue. 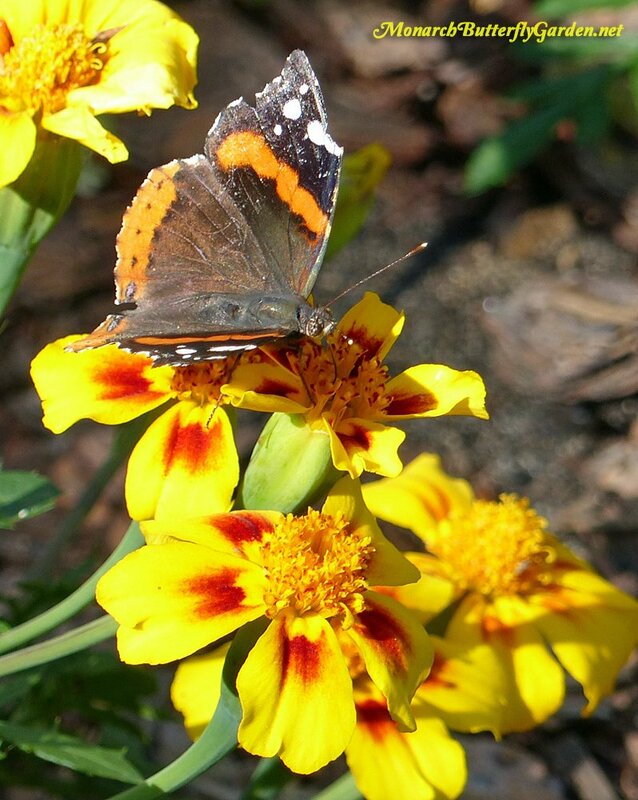 Yes, natives are the cornerstone of a healthy garden and ecosystem, but adding a healthy mix of continuous blooming nectar flowers will support far more more monarchs and other pollinators. good luck with your native garden. Amen, Tony! here in coastal CT, my September caterpillars would have starved had it not been for the tropical milkweed. The swamp milkweed had dropped most of its leaves by then. Just like the article, my zinnias and tropical milkweed have been a magnet for monarchs all season. They don’t take a second glance at marigolds, salvia, or roses (which are the only things left blooming in my yard.) Goldenrod is still blooming here and some in the aster family, but not in my yard so I can’t comment on them! Friday 10/6 was a big migration day here with a constant stream of new visitors all day. (I know because we were catching and tagging them, lol). Our last monarch of 40 raised emerged today and flew south immediately upon release. Thank you for your thoughtful article. I live in MA near Boston, and I wanted to share some of the bees’ favorites in my garden in the fall. They *love* my marjoram plants. all over it, all the time. Bugbane also attracts them, and the flowering hostas. I don’t like hosta flowers, but the bees seem to. and my little asters are blooming and keeping bees very happy. I think it is funny that Bugbane is happy to feed the pollinators. It is a very dramatic plant. 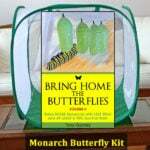 Hi, Tony – this is my first year raising Monarchs and really appreciate the wealth of information and resources you provide. It has been a learning experience! I started at the end of August with about 20 cats inside. 17 of them are now crysalids and the last 3 are getting bigger by the day! And I have at least 20 – 30 big caterpillars on my milkweed outside! With regard to plants, I have a large batch of Cardinal flowers (Lobelia) and Rose Turtleheads next to the Milkweed in my back garden (mostly Marsh and some Aquatic). Because of proximity, some of my outside cats have crawled onto the the Lobelia plants and munched away on the leaves. They seemed to enjoy it, but I moved them back onto the milkweed because I’ve never read or heard of them using Lobelia as a food source. Do you know anything about this? Any information would be much appreciated! Hi Pam, I’ve never heard of this before…is it possible they are just crawling to these plants to molt (shed their skin)? I saw the same thing happen this year with the zinnias that are planted next to the tropical milkweed. There is not enough tropical milkweed in that part of the garden so the cats are trying out the zinnia leaves. RE: Late season pollinators. I have alot of Lantana growing in my backyard. Among them purple, yellow, & white. But the absolute favorite for monarchs, hummers, & bees are the Red/Orange. Stay viable all year (unless multiple nights of frost, then just cut them down and will regrow in spring), and they need very little water, key here in So.Cal. 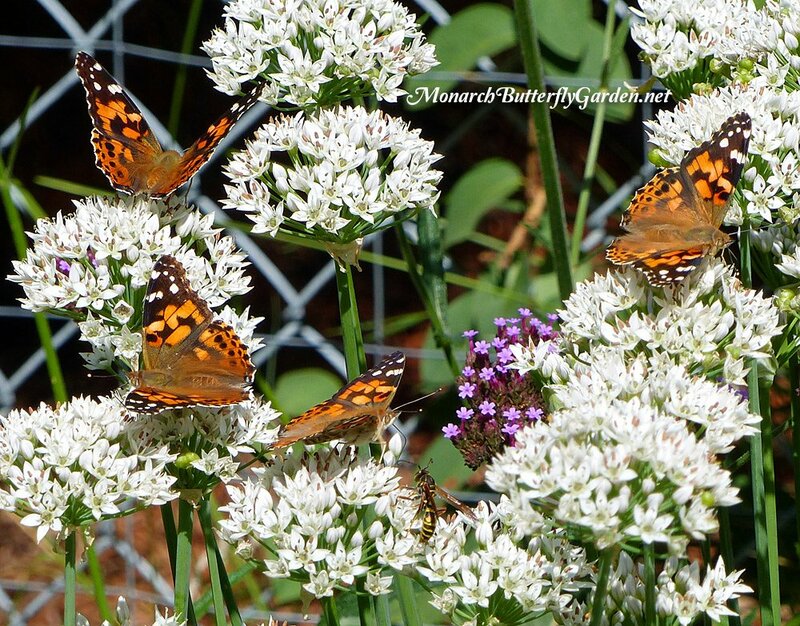 I have two ‘can’t miss butterfly magnets’ for the Monarchs and many, many other butterflies, Gregg’s Mistflower (Conoclinium greggii) and Frostweed (Verbesina virginica), flourishing in my yard now. We enjoy a bit of a longer growing season here in the Dallas area and both of these plants are at their peak this time of the year. Of course, we have many other host and nectar plants in the garden, including eight varieties of milkweed for next years’ northward migration. Here in central Indiana even the asters and goldenrod have finished blooming in my yard, but I late plant annuals so I have flowers up to frost just in case there are stragglers. Plenty of cosmos and Mexican sunflower blooms out there still. However, the last two monarchs in the yard left several days ago with the cold front—they were waiting for a good tail wind to head south. In my SoCal garden, late season bloomers such as lantana, Verbena bonariensis, pentas, asters, and of course Asclepias curassavica, all make great perennial nectar producers. For annuals, it’s hard to beat the little French marigolds. Blanket flower (gaillardia) and autumn joy are big hits right now with the late season pollinators. I have 3 monarch pupae waiting to hatch. How long does it take the Monarchs to head south to warmer weather once hatched? Wyoming is cold now (65/36) but I have an opportunity to take them to warmer country next week if needed. Thank you all for the excellent info. Hi Cindi, once it starts getting late in the season, they head out pretty quickly, within a few hours. good luck! I know it’s not native but the tatarian aster is a wonderful late season plant. I live in southeastern PA and it is just starting to bloom. It will bloom well into November if an ice storm doesn’t knock it over. It does live through light frosts. Late migrating monarchs love it and the bees that just hang around appreciate it. I bought my plants from Lazy s Nursery in Virginia. The native asters are finishing up so this will be the next source of food in my garden. My deep purple butterfly bush has been the biggest hit all season long…I have had monarchs, painted ladies, whites, sulfers & now red admirals-not to mention bees, hummers & hummingbird moths! I have had it going on 6 years & have no issue with invasiveness. I deadhead so that the blooms keep coming to help my winged buddies. One last chrysalis to go(found a 4th instar right before weather started to cool) which should be out by Monday, bringing my total to 32! I use your site constantly & really appreciate that you respond to questions! Thanks Tony! Varigated lantanas r a favorite in Jacksonville, FL, still blooming and attracting monarchs. I wanted to comment on the Cramer’s Amazon Celosia you showed in this article. It is a stupendous plant, very beautiful and striking, and all the insects, bugs, bees, butterflies and hummingbirds love it! It is an annual, but you should be warned before you plant it that depending on where you live, it might produce literally 1000s of babies for you next spring. I planted it in a large butterfly garden in a park in Rosenberg, TX (SW of Houston area), and everyone loved it and wanted to know where to get one…..I found out the next spring that everywhere I looked in that large garden, there were tiny ones growing as fast as they could. My crew pulled out 1000s of shoots, no exaggeration! But I let a very few of them grow for this year’s pollinators, and again, everyone who saw the plant in the garden asked about it. So just be forewarned that it can make lots more plants that you might want or need in your situation. Hi Linda, thanks for posting this. It’s always good to know when there are potential problems with plants BEFORE they arise. It sounds like you planted a lot of them and South Texas is a region where you don’t experience freezing winters like the majority of the US and Canada. I’m sure ours seeded a ton (in Minnesota) so I’ll be sure to report if there is an issue next season. Perhaps the best advice to gardeners who want to grow this might be to start small with a few plants and see if you have any issues in your region. If you don’t have time to monitor garden plants, plant native or stick to plants you know aren’t invasive to your region. 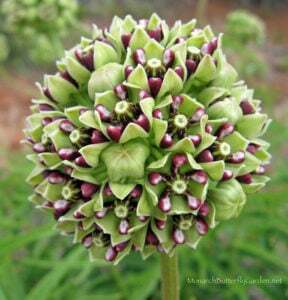 if your milkweed is still blooming, it’s likely Asclepias curassavica (tropical). The easiest way to tell is the leaves…tropical leaves are wider, softer, and have white sap inside the leaves. Asclepias tuberosa (butterfly weed) has coarse fuzzy leaves and doesn’t have milky sap. Tropical mw also blooms most of the season and will actually seed while it’s putting out new blooms. Nice to hear you’re getting visitors to your goldenrod…we have showy (speciosa) and I rarely see a monarch touch it. Perhaps it’s time to try a different type. 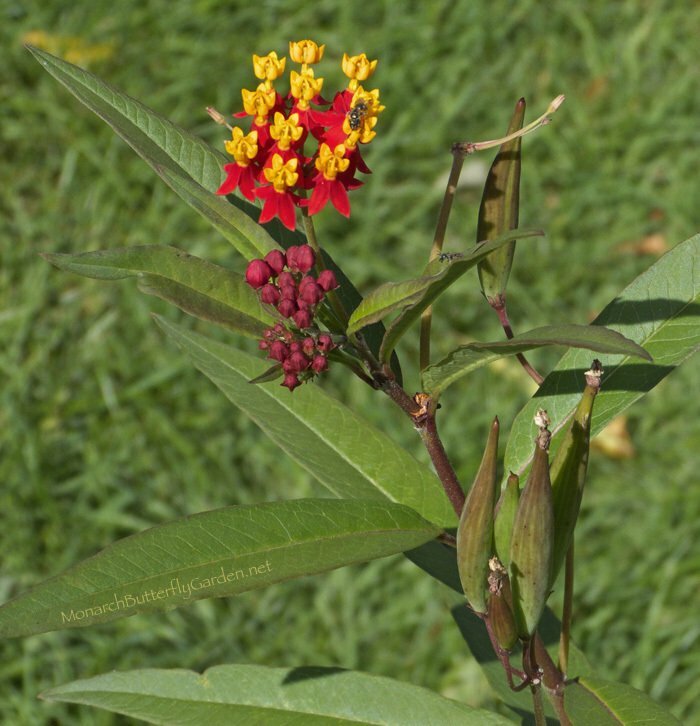 Your last question is confusing me…are you asking about taking tropical milkweed cuttings? If so, this should be done before your first freeze. My next post is going to be about that so I’ll go into more details then.. Tropical milkweed will die in your region if left outside over winter. Overwintering plants or taking cuttings is a good solution. I’ve seen monarchs on my tropical milkweed nearly every day for the last week or so. I had been kind of depressed before that because I had only seen two monarchs all summer. I’m planning to keep my tropical milkweed inside over the winter. It already has one new plant coming up from the base. I also kept the seeds from a small pod that formed on it. The monarchs also like my butterfly bush. This is the first year I’ve been deadheading it because I didn’t realize it can be invasive. I’ve had it for two or three years and haven’t had a problem with it spreading. I’m happy to hear your season has picked up at the end. Enjoy those daily visits! If you are bringing in a tropical milkweed, you will also be able to take cuttings for next season. I will be posting more about this in the off-season. 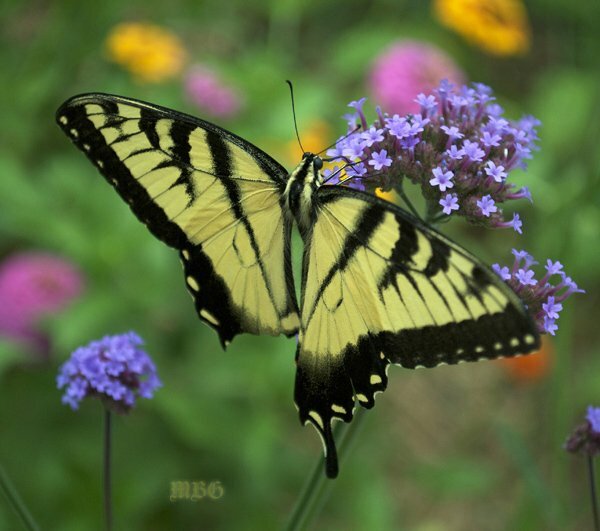 As for butterfly bush, the invasiveness depends on your climate and what type you’re growing. Deadheading can help prevent seeding, and it also promotes flower growth so it’s a good idea regardless. People have to stop the Gov and big business like MONSANTO that will ‘rid’ the earth of any seed producing crop. They will OWN the rights to all seed ‘patents’ and we will be left eating GMO sh– the rest of our lives. I have been ‘on count’ monitoring Monarchs for 10 years. There will be no Monarch butterflies in the Continental USA or Canada as the migration goes either way, as American so called farmland, turned into vast miles of mono growing, and has now been ‘Round-up’ ready to spray all your millions of hectares of GMO corn sunflowers soya, which kills no only your ‘unworthy native flowers’ along with your foreign flora. How do you think for thousands of years they made this journey? Along with birds, and other migrants, they were fine, until ALL YOU Americans realize paradise is not just ‘out the back’ but a global issue, and one EVERY SINGLE ADULT SHOULD BE HELPING WITH, not making up stuff you think sounds cute. Native flora lives longer, is NATIVE so its been growing there for many decades, even centuries. STOP ROUND-UP SPRAYING. ITS KILLING ALL THE FLORA and FAUNA and WILL KILL MORE PEOPLE. I don’t remember ever saying (or even insinuating) that natives are unworthy plants. In fact, I say and believe the opposite. Native plants are the cornerstone of any successful garden. However, dismissing plants based solely on native/non-native status is a wasted opportunity to improve your garden and local ecosystem. Even if harmful pesticides are eradicated, habitat loss and climate change will continue as the earth’s population explodes. I choose to have the best of both worlds by including non-invasive, wildlife-attracting exotic plants mixed in with our natives. As long as someone is willing to be a responsible gardener, there is room to expand our minds…and gardens! My writing is based on my own personal experience with our butterfly garden and from talking to other gardeners. “ALL YOU Americans?” “making up stuff you think sounds cute?” Wow, insulting your audience is a great way to get your point across.